Indonesia, 20 October 2017 - Archipelago International, Indonesia’s fastest growing hotel management company, is proud to announce the return of the annual Culinary Festive, taking place across three different regions. 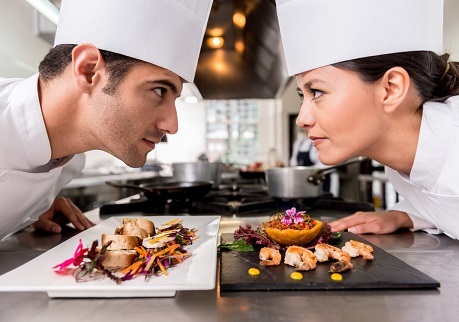 The Black Box Cooking Competition is the true test of a chef’s worth and ability to work under pressure where each of the contestants will receive a mystery box containing a variety of ingredients. The challenge is to create a mouth-watering dish using only the contents of the box. Once the ingredients are handed out, the contestants will have a set time in which to develop their menu and craft their winning dishes. The Innovative Cocktail & Mocktail Creation is a special platform for bartenders to test their knowledge and show off their skills and gimmicks by creating their very best concoction. Contestants will then present their cocktail & mocktail to the panel of judges. The Food Truck Concept Competition is a new challenge specifically created for this year’s event. Inspired by the recent culinary trend, contestants will amaze with their skill in showcasing their most creative food truck’s worthy dish, whilst also displaying their flair for food creativity. This year’s impressive line up of judges will bring together the top management of Archipelago International including the Chairman Charles Brookfield, CEO and President John M. Flood, Vice President of Sales & Marketing Tenaiya Brookfield, Director of Operations Winston Hanes and some special guests including Made Kona, Adzan Tri Budiman, along with famed gastronomy expert, Master Chef and Top Chef Indonesia judge Vindex Tengker. 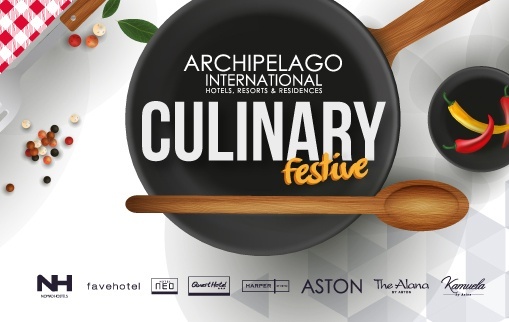 "We are very excited for yet another great event this year showcasing the talents and creativity of Archipelago International’s cooks and bartenders. Each year the quality of the dishes and the interesting twists the guys and girls present never ceases to amaze me. The set menus we have in all of our hotels are already delicious, but this event really gives our F&B teams a chance to think outside the box and show off their talents - it really is very impressive,” said Winston Hanes, Director of Operations at Archipelago International. Teams representing all brands within Archipelago International are eligible to participate in the contest which will be held in three different locations. The first one will be hosted at Aston Kuta Hotel and Residence on 21st October 2017 for hotels under East Indonesia region, followed by Grand Aston Yogyakarta on 4th November 2017 for hotels under Central Indonesia region, and lastly at Aston Imperial Bekasi Hotel & Conference Center on 14th November 2017 for hotels in West Indonesia region. Hotel guests are open to attend the event as supporters in each of the venues. Social media and culinary enthusiasts are encouraged to vote for their favorite winners by following the Instagram stories or the hashtags #CulinaryFestive2017 and #ArchipelagoInternational. The first person who guessed the right winner will win a cash prize up to IDR 5million. The winner will be announced end of October. An inspirational and respectable figure in the company, Charles has over 30 years of experience in the hotel industry. He has opened resorts in Cancun, Cabo San Lucas, Puerto Vallarta, Palm Springs, Park City, San Francisco, Hawaii, Guam, Jakarta, and Bali. Charles was instrumental in building the largest hotel chain in Hawaii and has been a pioneer in the industry. Originally from Ireland, John has worked for over 30 years in the hotel and restaurant business in Dublin, London, Paris and Copenhagen. John developed his career in the kitchens of numerous prestigious hotels in London including The Dorchester and The Connaught , something that most chefs would only dream of achieving. Winston Hanes start his career in the kitchens and has more than 20 years of experience with various international hotel chains in Boston, Milan, and Hawaii. Since joining Archipelago International in 1998 he has worked in Jakarta, Bali and Cebu (Philippines) as Executive Chef, Corporate Chef ico F&B, General Manager, and Regional General Manager. Vindex Tengker is a household name in the industry thanks to his many TV appearances, most notably as a judge on MasterChef and Top Chef Indonesia. Born in Manado, North Sulawesi, Vindex grew up learning the essentials of Manadonese cuisine, sparking a culinary interest that has taken him to many different parts of the world. Today he is the Vice President of the In-flight Services for the biggest flight company in Indonesia. Known as the experts of pastry and won several prestigious awards in culinary industry including Bali Salon Culinaire, Singapore Salon Culinaire and Jakarta Salon Culinaire. Starting his culinary career since 1986, Made Kona work in several hotels in Jakarta, Bali and Singapore. He is now executive pastry chef in one of the international 5-star hotel in Jakarta. Formerly known as the well-known executive chef in one of international hotel group in Jogjakarta for ten years. He swift his journey and become the restaurant consultant. Since then, Adzan has been creating and opening more than ten restaurants including his own. In 2014, together with his brother, he joint the movie production called ‘Tabula Rasa’ as a culinary consultant.